The Traurig Library and Learning Center is home to a wealth of resources, including over 13,000 print books and 1,262 media, 45 online databases, a growing e-book and virtual reference collection, a cataloged government documents repository, and specialized collections of legal reference sources and a unique equine management print and media collection. All online resources are available on Blackboard under the Library tab. 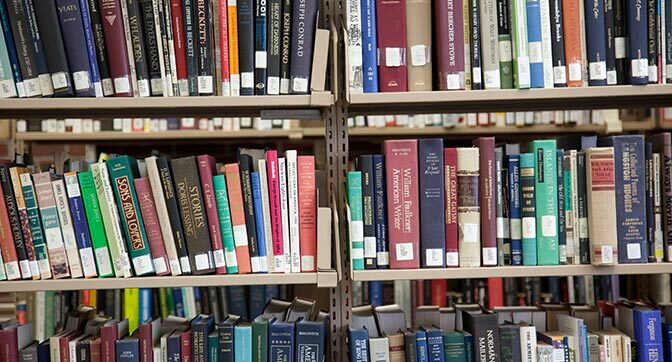 Post University also has reciprocal borrowing agreements through the Connecticut Council of Academic Library Directors, as well as area academic libraries. By participating in researchIT CT, the State Virtual Library, our students have access to an extensive variety of general and subject-specific databases, and e-book collections. Monday – Wednesday: 8 a.m. – 10 p.m.
Sunday: 2 p.m. – 8 p.m. Hours are subject to change during Intersession, MC Finals and holidays.